In June, my primary goals were to Simplify, Streamline and Sell Stuff. There’s still lots to do on all three goals, because, well… simplifying and streamlining your life requires a good deal of thought and planning. Sure, there’s been a lot of tossing of unwanted stuff and to a large extent, dealing with the physical clutter is much easier than clarifying what a simple and streamlined life really means to me. What Does a Simple and Streamlined Life Really Mean? Thinking about this stuff has been challenging. I really wasn’t expecting to have to face quite so much on so deep a level. I was beginning to think it was all too hard and, “hey, everything is OK, really” when my daughter got the news that her dad is sick. It appears the melanoma he had removed about five years ago hadn’t been completely dealt with and has spent the intervening years playing hide and seek. Now it looks like it might have spread to other organs. We don’t have a full prognosis yet, but this confronting news did the trick. Life is short. Potentially very short. You can choose to play along with how you’re expected to behave or you can choose to live a life that’s truly your’s. No more wallflower excuses. No more dancing around the edges. Time to take a spot in the middle of the dance floor and go a little nuts! And, potentially make a fool of myself. Truth is though, what’s more foolish? Playing it safe or taking charge? I am increasing the volume (and velocity) of stuff removed from my environment. I’ll also be donating items that I can’t sell easily or don’t sell immediately rather than have them continue to clutter my space. I am actively planning the next step in streamlining my business activities. I achieved some inroads on this during June but I want to increase the speed with which it is happening. I’m expecting to make some sacrifices along the way, but that’s OK. The ultimate goal: life by my design will be worth it. I am changing my mindset from being focused on debt repayment to being focused on income generation. Don’t get me wrong, if you have it, paying off debt is an absolute must but being focused on it at all times can skew your thoughts from abundance to scarcity. I am choosing to make every day count. 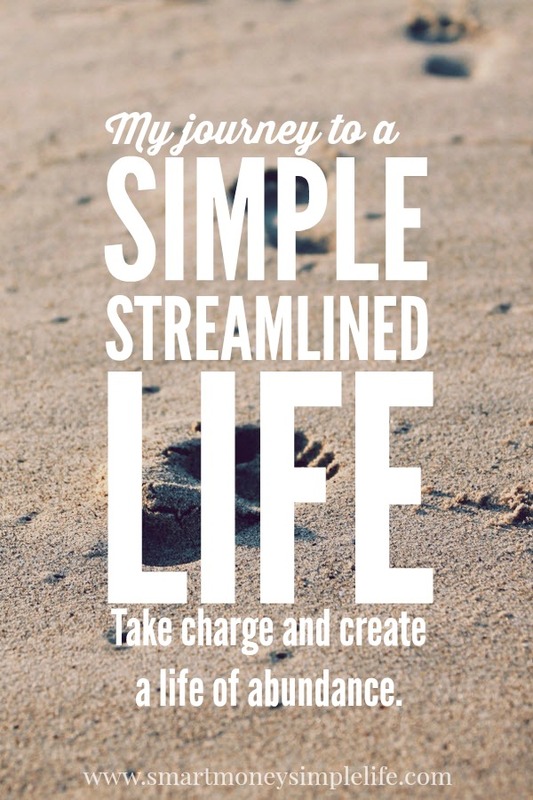 No more dithering, just commitment to the goal of a simple and streamlined life. I’m disappointed to say, there wasn’t a great deal of activity on this over the last month. I’ve tried a couple of local Facebook buy, sell, swap groups without any success. This could be due to a lot of different things: price, the item itself or just not a large enough pool of buyers. So, I’ll extend my reach by trying some items on the regional groups. As I mentioned earlier, if these items still don’t sell, they’ll be donated. It’s hard to achieve a simple and streamlined life when you’re still surrounded by the stuff you’ve chosen to ditch! So, I’ve streamlined this process, too. No more second chances stuff. Out you go!!! Spending in June was very disciplined. So disciplined that I well and truly surpassed my goal of spending less that $10 per day on groceries (food, cleaning and other consumables). In June, we spent just $8.22 per day. I’m not going to attempt to beat that this month. I’ve been lucky (prepared?) to have a well stocked pantry to rely on but it’s beginning to look a bit depleted. Plus, I think pushing this number further will begin to compromise the quality of the food we eat. And that is definitely not worth the inherent risk to our health. A simple and streamlined life is not necessarily the cheapest life you can manage but the one that provides the best value for the least input. Fuel spending was down, too. In May we spent $122 on fuel and in June that figure came down to $88. My driving requirements should continue to decrease this month as there are no planned road trips and hopefully no unplanned ones plus my mum is back on her feet and no longer needs a chauffeur. If all goes to plan, and plans always work, right? By the end of this month, I’ll be a lot further down the track to creating what I want for myself: a simple and streamlined life. What are your plans for July? Are they big, life changing ones or small, finer details ones? We are going on vacation for 9 days later this month so I’m working extra hours these next few weeks in order to “get ahead.” Sadly, that’s about all I’ll be able to do in addition to regular day-to-day stuff. I don’t want to work on vacation! I guess the effort now will be worth it to have a relaxing, work-free holiday. Nobody wants to work on their vacation! Enjoy!! !